Whaling attacks have risen in recent months and these emails are more difficult to detect because they don’t contain a malicious hyperlink or attachment, and rely solely on social-engineering to trick their targets. 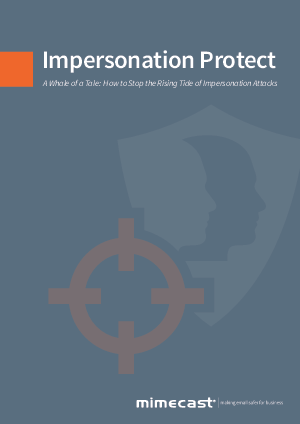 In order to combat these attacks, organizations must be aware of the dangers presented by whaling, or CEO fraud, and put the right safeguards in place. How to protect your organization from a whaling attack through company exercises, education, and technology. What Mimecast is offering to combat these attacks in its industry-leading Targeted Threat Protection service.